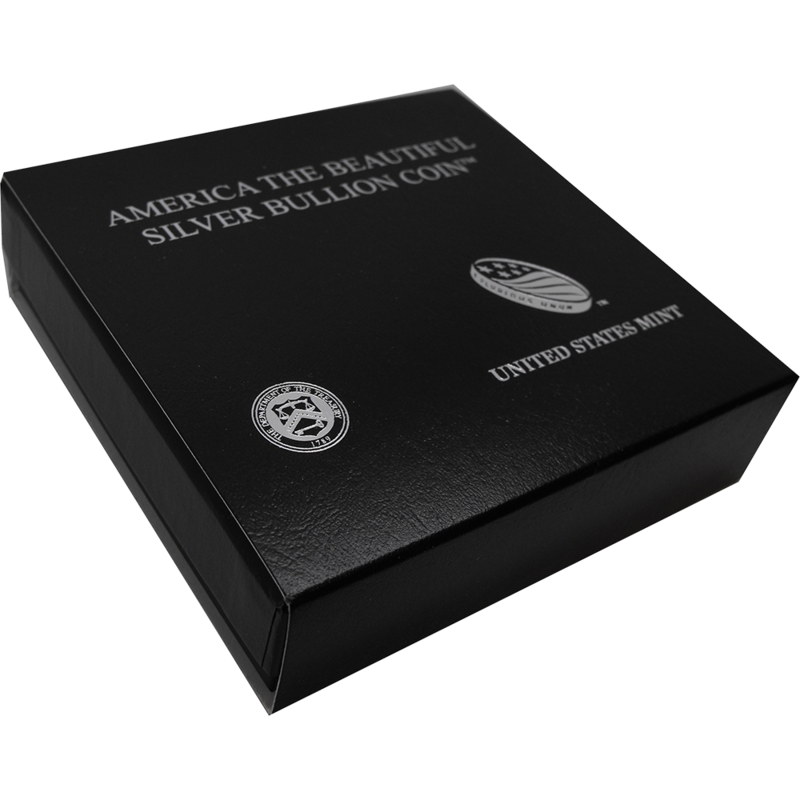 The official box for the 5 oz America the Beautiful Silver Bullion Coins is perfect for gifts or presentations. 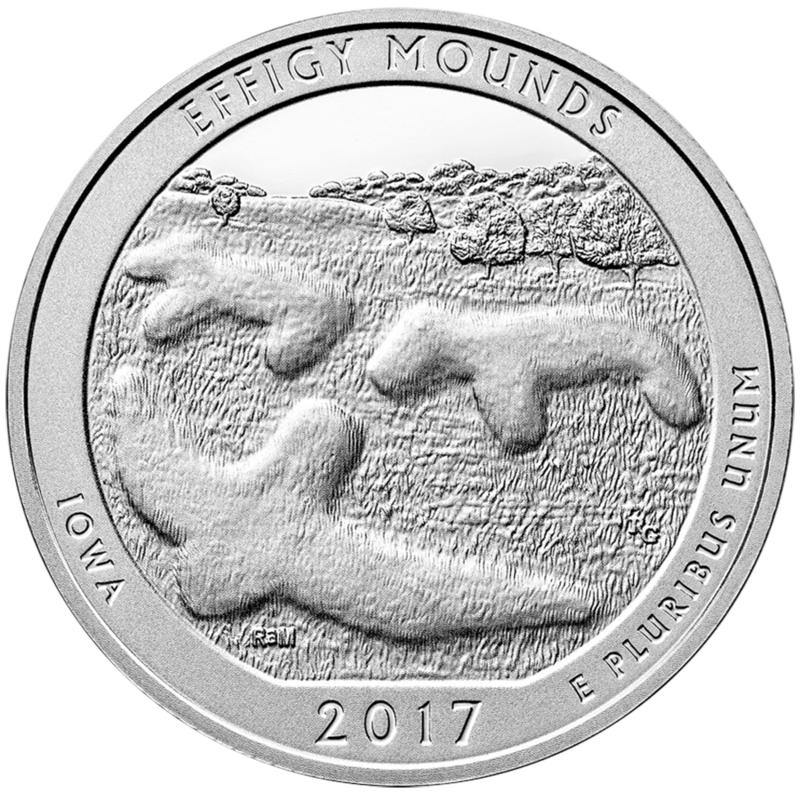 These boxes fit the coin without a capsule. 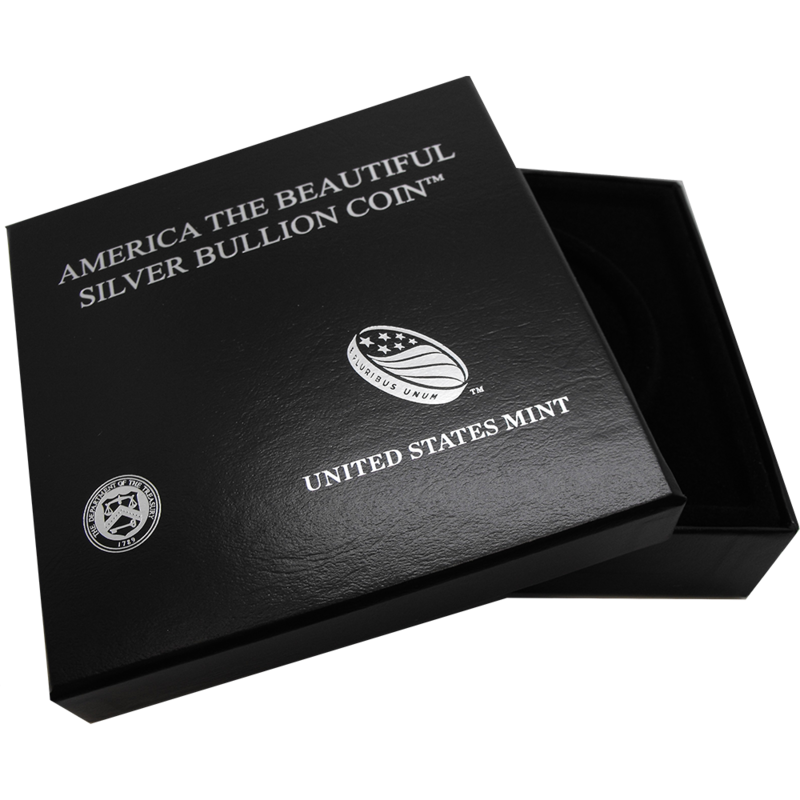 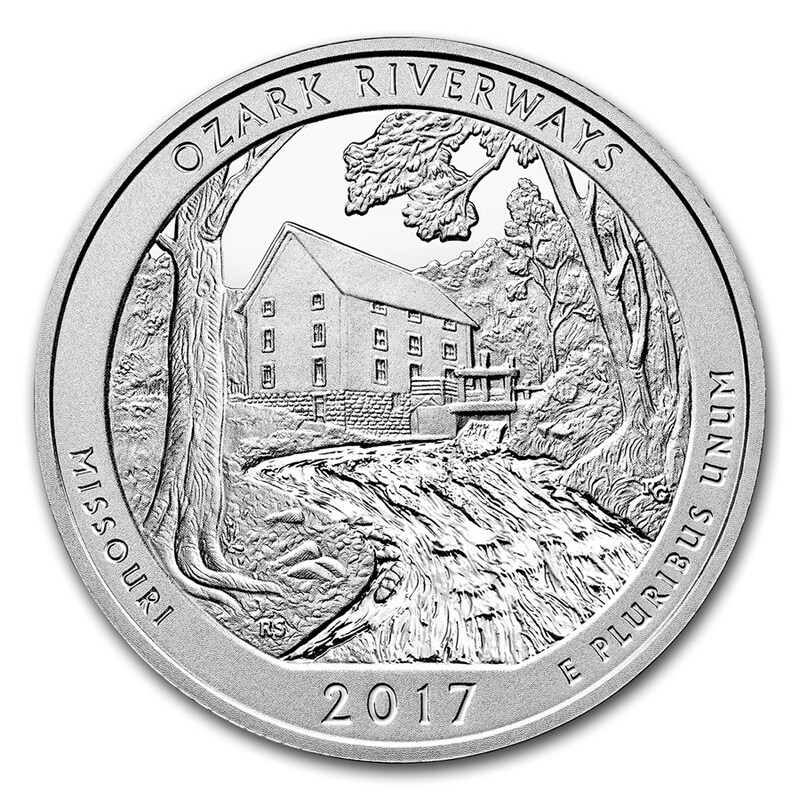 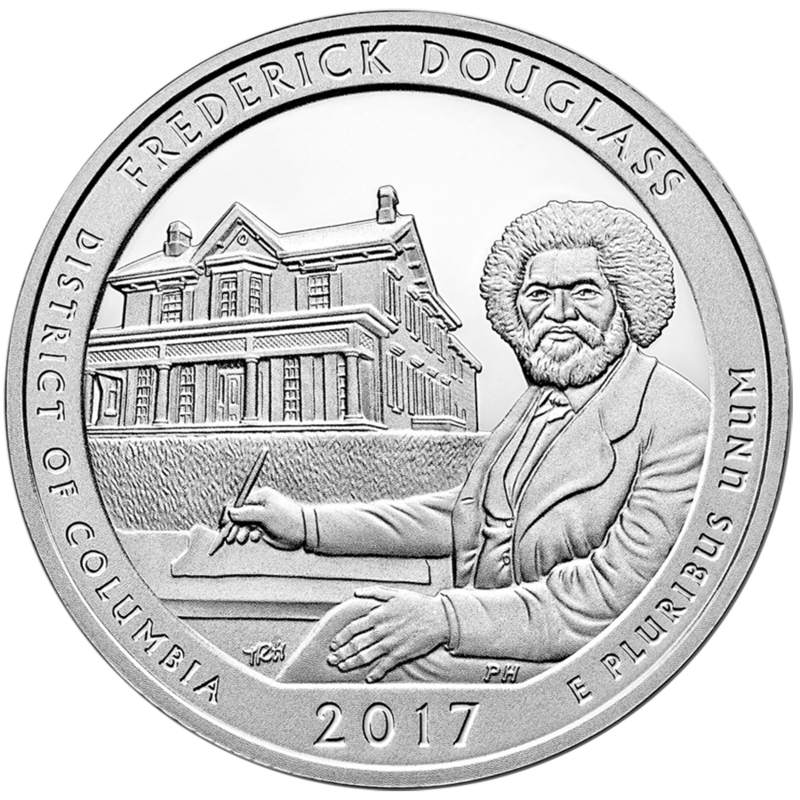 Designed for the America the Beautiful 5oz Coin series. 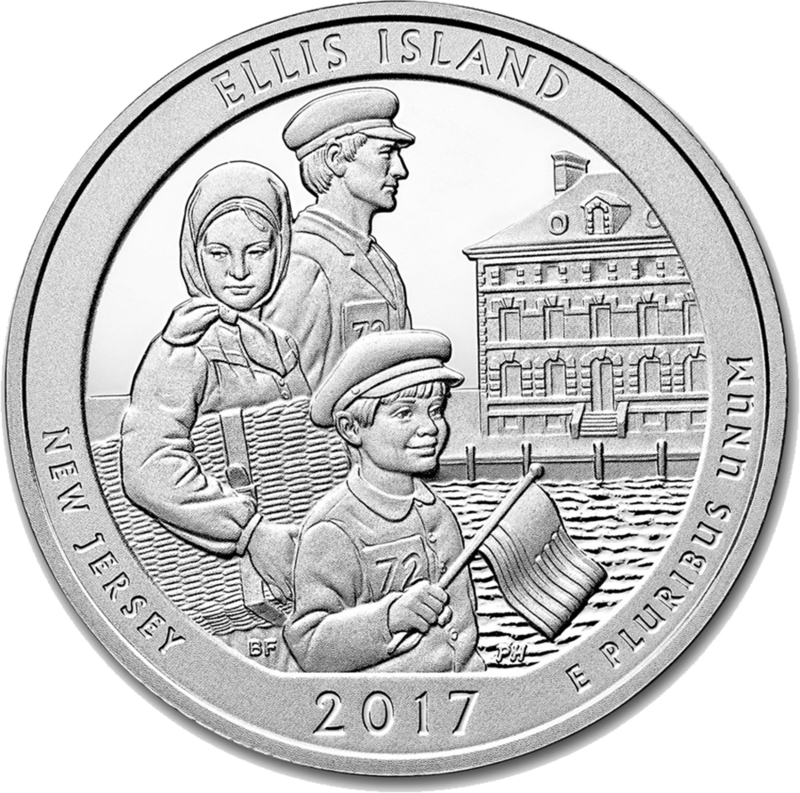 U.S. Mint logo on the lid.